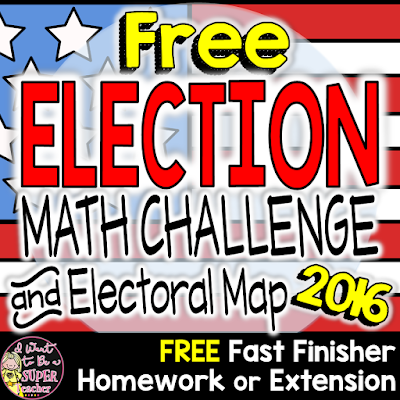 Get ready for November 8th with this FREE Election Math Challenge! 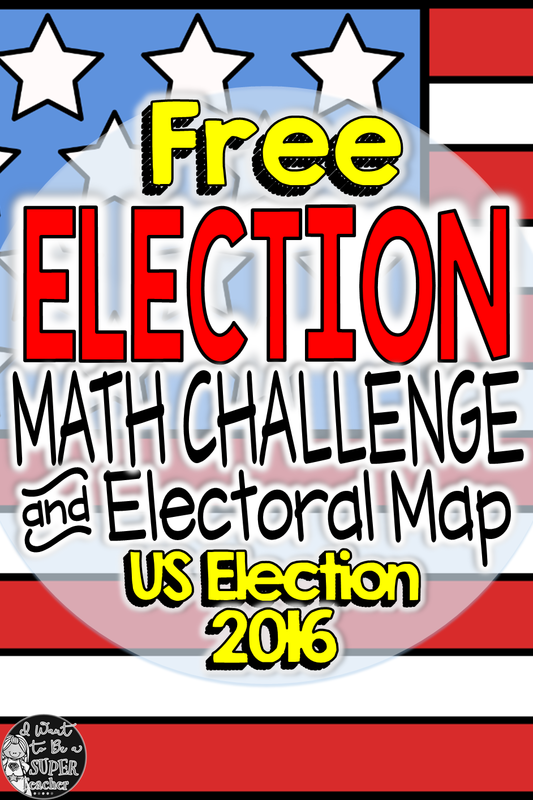 It includes an electoral map and my Race to 270 Math Challenge which asks students to find two different combinations of states that have a total of 270 electoral votes. There are also some teacher notes on a simple way to differentiate the project for more advanced students, as well as a link to my favorite site for looking at projected and actual election results with an interactive electoral map. Just click here or on the picture below to download the freebie from my store! 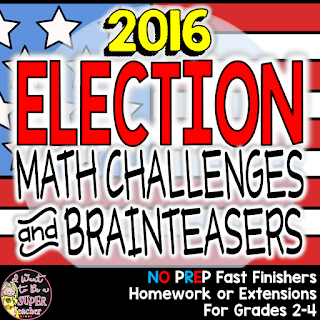 If you like the freebie, I have 20 more election based math challenges and brainteasers that were just added to my store! You can check them out by clicking here or on one of the pictures below.